Obama’s Cabinet Pursuing Patent Trolls, Nintendo Wins! 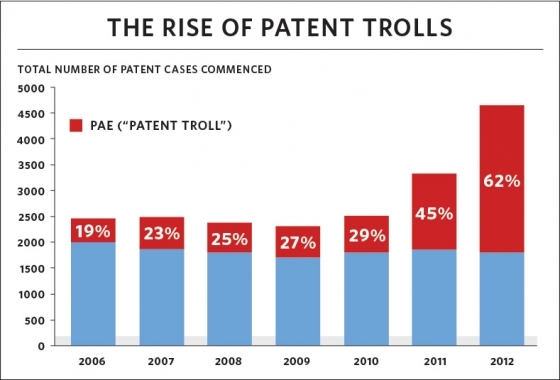 Patent trolls have been hounding the world lately, and while President Obama is trying to make it more difficult for those abusing the American patent system, they still account for over 62% of all patent cases filed in America. That is a serious strain in our economy and creates wealth for people who are really good at being a**holes, or people who are really good at making money by doing absolutely nothing. Modern day gangsters have gone corporate. Seriously, who participates in a heist nowadays besides 50 year old men with 70′s mustaches still fascinated by “the Twitter”? Nintendo has not had to pursue litigation against people creating products violating their patents and copyrights. 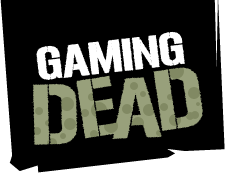 They have made a lot of money with Wii sales and are hoping to continue that trend. However, due to huge reported losses and slow sales of hardware and software in recent years, the innovative industry giant has been taking large strides in order to recoup costs associated with the theft of their software on handheld consoles. To be honest, though, those of us who tried buying a Wii on launch day are now looking back at our purchases and hating the lack of any real solid titles on the system. Seriously, unless you’re female or a homosexual, you’re probably not looking at the next iteration of fitness or dance games to make you want to buy a new system. How many times are we going to submit to a new Mario Party or Zelda adventure before nausea sets in from too much nostalgia? Continuing the trend in recouping losses, Nintendo has now won another case against Creative Kingdoms, who are claiming infringement on their “new” ideas in motion control technology, insisting that the Wii and the Wii U uses technology too similar to the wording in their application… around 10 years after the systems were already invented. We are pleased with the commission’s determination. Nintendo’s track record demonstrates that we vigorously defend patent lawsuits when we believe we have not infringed another party’s patent. Nintendo continues to develop unique and innovative products while respecting the intellectual property rights of others. Way to go, Nintendo! Take that, ‘merrica!